Please can we keep in touch? From the 25th of May the General Data Protection Regulations will restrict who we can contact and for what purpose. Please complete the below form so we know how you'd like to be contacted in the future. Please confirm which of our mailings you would like to receive, if any. We will not bombard you with unsolicited marketing material. You can ask us to 'unsubscribe' you at any time. At Balfours LLP, we are committed to protecting and respecting your privacy. It is our policy to comply fully with the General Data Protection Regulation (GDPR) that comes into force on 25 May 2018 and associated legislation. Market House, Market Street, Craven Arms SY7 9NN. The Data Controller is Balfours LLP. The Partnership Secretary is the nominated Data Protection Officer (DPO). We are a firm of Chartered Surveyors and Land Agents in England and Wales, with a strong regional presence in Shropshire, Herefordshire, Mid-Wales and surrounding counties. For Data Protection matters, we are registered with The Information Commissioner’s Office – reg. no. Z9444031. By definition, the GDPR applies to personal data. This is any information that can directly or indirectly identify a natural person, and can be in any format. The Regulation places much stronger controls on the processing of special categories of personal data. The inclusion of genetic and biometric data is new. Aggregated analysis of these log files is used to monitor website usage. These analyses may be made to available to our staff to allow them to measure, for example, overall popularity of the site and typical user paths through the site. We will make no attempt to identify individual users. You should be aware, however, that access to web pages will generally create log entries in the systems of your ISP or network service provider. These entities may be in a position to identify the client computer equipment used to access a page. Such monitoring would be done by the provider of network services and is beyond our control. We will make no attempt to track or identify individual users, except where there is a reasonable suspicion that unauthorised access to systems is being attempted. In the case of all users, we reserve the right to attempt to identify and track any individual who is reasonably suspected of trying to gain unauthorised access to computer systems or resources operating as part of our web services. We collect and process personal information for the purposes of providing property services, full details of which can be found at www.balfours.co.uk. The personal information we collect might include your name, address, email address, telephone numbers, IP address, and more sensitive data such as your bank account details, where these are necessary for the purposes of providing our services to you. In addition, if you linked to our website from a third party site, we cannot be responsible for the privacy policies and practices of the owners and operators of that third party site and recommend that you check the policy of that third party site. When you are on a secure page, a lock icon will appear on either the top or the bottom of web browsers. We may pass your information to our third party service providers, agents subcontractors and other associated organisations for the purposes of completing tasks and providing services to you on our behalf. We may provide contractors with your name, address and telephone number for the purposes of contacting you - for example to arrange property repairs and maintenance. When we use third party service providers, we disclose only the personal information that is necessary to deliver the service and we require them to keep your information secure, to delete it once it is no longer required and not to use it for other purposes. We may also process your data on other systems, as required to deliver our service to you. We are required to comply with statutory obligations such as UK tax law, so we will keep your personal information for a minimum of 7 years after which time it will be destroyed. Your information that we use for marketing purposes will be kept with us until you notify us that you no longer wish to receive this. You can unsubscribe at any time via phone, email or our website. If you do not want to receive direct marketing communications from us, then you can select your choices by ticking the relevant boxes situated on the form on which we collect your information. If at any point you believe the information we process on you is incorrect, you can request to see this information and even have it corrected or deleted. If you wish to raise a complaint on how we have handled your personal data, you can contact our Partnership Secretary who will investigate the matter. If you are not satisfied with our response or believe we are processing your personal data not in accordance with the law you can complain to the Information Commissioner’s Office (ICO). www.ico.org.uk. 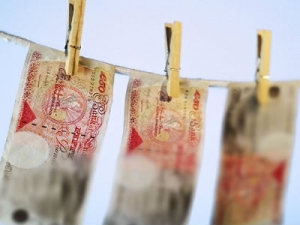 The Money Laundering, Terrorist Financing and Transfer of Funds (Information on the Payer) Regulations 2017, more commonly referred to as the 4th Money Laundering Directive, came into force in the UK in June 2017. These regulations supersede the Money Laundering Regulations 2007 and subsequent amendments. As with all Estate Agents, Balfours is subject to these regulations. This means that we have to obtain and hold identification and proof of address for all clients, both purchaser and vendor. Additionally, we are also required to establish whether there are any beneficial owners on whose behalf the transaction or activity is taking place, hence, we would request you to identify anyone who you would consider to be a beneficial owner. Where appropriate, the source or destination of funds may also be requested. Without this information, we will be unable to proceed with any work on your behalf. We require sight of all original documents. We require one document from List A and one recent document from List B dated within the past 3 months. In the absence of photo ID for List A we can accept a birth certificate. Certified copies of the below can be accepted from your solicitor. Subject to your individual circumstances, Balfours may liaise with you for further documentation.